The reports on machinery and machinery suppliers contained in this section give buyers all the information they need on outstanding products and manufacturers from Greater China. 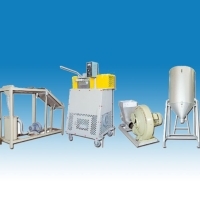 The product categories covered are plastics machinery, machine tools, machine tool parts and accessories, steel and iron processing machines, rubber processing machinery, food and packaging machinery, textile machinery, and industrial machinery parts and accessories. Buyers can use this APP to place orders immediately or gain access to further information by connecting directly to suppliers’ websites. Our equipment provides corona-discharge surface improvement treatment on PE, PP, HDPE, BOPP plastic film, synthesic-resim products, and Aluminium foil, Metal membrances prior to printing, coating for improving the and keeping product quality. Chung Yu straightening machine manufacturer was founded by Mr. Huang Yu-Kuan, the president in 1982, and now is the most professional manufactory of metal line straightening machine manufacturers in our country. We work with specialized organizations to develop new mechanical function. 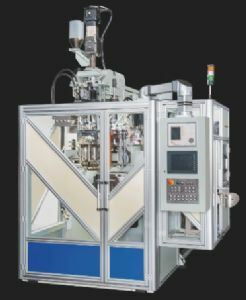 The firm’s product lines include plastic welding machines, wooden plate plying machines, induction soldering machines and gluing machines, mainly to target middle-to-high-end segment of the market. Ching Hung Machinery & Electric Industrial Co., Ltd., currently Taiwan’s No.1 and world’s No.5 electric discharge machine (EDM) manufacturer, is promoting the AD5L-series CNC high-speed small-hole drilling EDM for making molds (tooling) used in the aircraft industry. 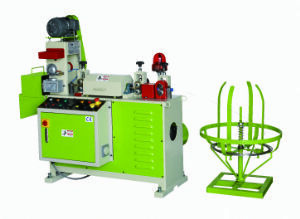 Kai Mei Plastic Machinery Co., Ltd., established in 1977, is a highly reputed manufacturer of blow molding machines with operating headquarters in Taiping Dist. of Taichung City, central Taiwan. Chun Tai was established in June of 1970. With more that 44 years experience specializing in recycling equipment such as plastic granulators and plastic sheet making machine CHUN TAI insists on building top quality machines and products that will raise customers’ competitiveness. Founded in 1996, Chau Yih Shin Co. “microntec” has been providing customized components in deep hole drill machining in Taiwan skilled more 20 years. Guided by customers needs, microntec is committed to improving service quality and continuously developing smart manufacturing to create multifunctional deep hole drilling machine with milling and tapping head with high efficiency, high rigidity and stability. 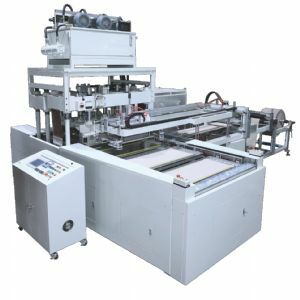 DOPLAS ENTERPRISE CO., LTD. was established in 1995, is one of the leading manufacturers of various plastic extruders & peripheral equipment, high-speed blowing bag machine, mini blowing bag machine, pumping plate machine, Laminating machine, plastic waste recycling machine, bag making machine and pipe making machine. 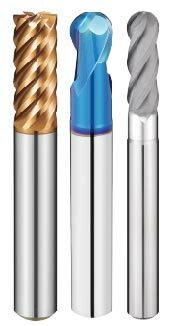 Superior manufacturing technologies possessed are the biggest competitive advantage of the manufacturer, which, it claims, is the payoff of its insistent dedication to producing cutting tools in line with standards and procedures established by original European manufacturers of machinery. 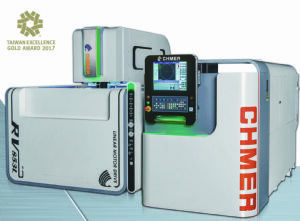 Established in 1978, Maxthermo-Gitta is the leading manufacturer and exporter of PID temperature controllers, meters, sensors and factory-automation instruments in Taiwan. Founded in 1982, Yi Chang Sheng Machinery Co., Ltd. supplies clothes-hanger making machines and turnkey equipment, as a globally competitive supplier from New Taipei City, northern Taiwan. Asia Machine Group (AMG) is a Taiwanese manufacturer specializing in manufacturing high-quality, durable and affordable steel fabrication CNC cutting and drilling machines. Over the past 20 years after its inception, AMG has installed over 5,000 units in over 40 countries worldwide. AMG has a very strong R&D team. 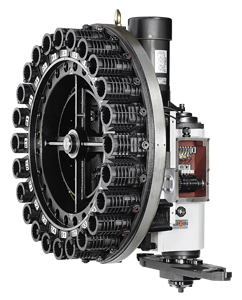 Specializing in custom machines and configurations, AMG also provides OEM services upon request. A professional supplier of CNC machinery founded in 2003, Campro Precision Machinery Co., Ltd. recently has launched its newest U series 5-axis machining center. 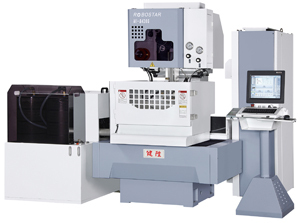 Founded in 1988 in Taichung, central Taiwan, Joen Lih Machinery Co. has grown into a top manufacturer of high-precision and CNC (computerized numerically controlled) surface grinders, hand-operated surface grinders, and semi-automated precision surface grinders. Sanjet International Co., Ltd. is a professional Taiwan-based maker of automatic tool changer systems that upholds a traditional, sincere mindset towards the machinery industry, but combines that with an innovation-driven team. Sanjet is looking at developing their private label strategy, while concentrating their customers through developing new products. With a low-key, and unique management values segregate Sanjet from the market. Established in 1959 as a dedicated manufacturer of hydraulic machines, Kou Yi Iron Works Co., Ltd. enjoys high regard among shoemakers worldwide as a reliable maker of various shoemaking machines after working out a manually operated vertical injection machine in 1962. Since its establishment in 1990, (Target Valve) Yueng Shing Industrial Co., Ltd. has been devoted to manufacturing and supplying valves and pipe fittings for over 20 years as a world-caliber maker. 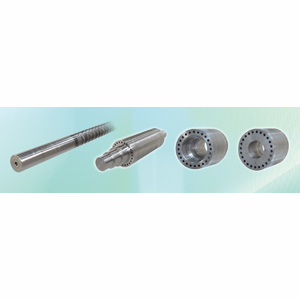 Founded in 1972, Gong Yang Machinery Co. specializes in three categories of machine tool components: cutter heads and accessories for traditional double-column milling machines, cutter heads and accessories for CNC double-column milling machines, and cutter heads for floor-type boring and milling machines. Set up in 2005 in Taichung, central Taiwan, Dynaway Machinery Co., Ltd. began promoting in machine tools and accessories in 2012. 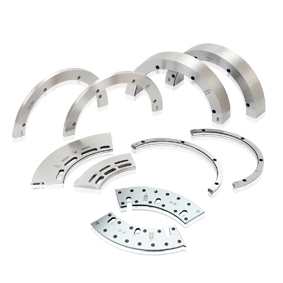 The company provides total solutions for parts and mold machining, serving as a one-stop shop offering a comprehensive line of specialized machine tools and peripherals for the efficient handling of difficult and complex work. PP/HDPE/LLDPE/LDPE mono-layer & multi-layer tubular blown film machines, plastic waste recycling machines, plastic recycling machines, film recycling machines. 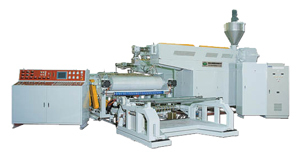 Ye I Machinery Factory Co., Ltd. has worked with plastic extrusion machines and related equipment for over a half of century since its founding in 1960. Jiann Sheng Machinery & Electric Industrial Co., Ltd., in business since 1982, is a Taiwan-based EDM (electrical discharge machining) machine manufacturer globally recognized for expertise, exporting globally with plans to further expand markets worldwide. Chuan Lih Fa Machinery Works Co., Ltd., founded in 1966, is one of Taiwan’s major manufacturers of plastic injection molding machines. Based on the motto “Prioritizing Quality First with Best Technology,” the company is dedicated to improving quality, innovation and providing prompt service to help clients create maximum profits. Founded in 2000, Welder Top Electric Machinery Co. specializes in the development and manufacturing of a wide array of welding and heating machines as well as peripheral equipment. Ever since it was founded in 1988, Jeng Feng Cutter Manufacture Industry Co. has been honing its skill as a maker of industrial knives and turning tool parts. As a result, it has become one of the most professional manufacturers of its kind in Taiwan. Chanto Air Hydraulics Co. was founded in 1982 and has developed into one of Taiwan’s most professional manufacturers of pneumatic components and hydraulic products. Fu Yu Shan Machinery Works & Co., Ltd.
Fu Yu Shan Machinery Works & Co., which was founded in 1976 as Fu Li Shan Machinery Works, focuses on the development and production of various kinds of waste-plastic recycling machines at its 15,000-square-meter factory in the southern Taiwan city of Tainan.